With the reader, students explore the sociohistorical formation of Latinos as a distinct panethnic group in the United States, delving into issues of class formation; social stratification; racial, gender, and sexual identities; and politics and cultural production. 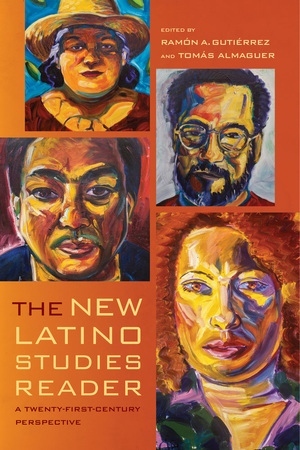 And while other readers now in print may discuss Mexican Americans, Puerto Ricans, Cubans and Central Americans as distinct groups with unique experiences, this text explores both the commonalities and the differences that structure the experiences of Latino Americans. Timely, thorough, and thought-provoking, The New Latino Studies Reader provides a genuine view of the Latino experience as a whole. Ramón A. Gutiérrez is Preston and Sterling Morton Distinguished Service Professor at the University of Chicago and the author of When Jesus Came the Corn Mothers Went Away: Marriage, Sexuality, and Power in New Mexico, 1500–1846. Tomás Almaguer is Professor of Ethnic Studies and former Dean of the College of Ethnic Studies at San Francisco State University and the author of Racial Fault Lines: The Historical Origins of White Supremacy in California. PART 1: HISPANICS, LATINOS, CHICANOS, BORICUAS: WHAT DO NAMES MEAN? 12. Not So Golden? - Manuel Pastor Jr.
13. Latino Lives - Luis Ricardo Fraga et al.